Traditional Use of Psychoactive Mushrooms in Ivory Coast? Originally published in Eleusis, n. 1, 1995, pp. 22-27. The possibility of a traditional knowledge of hallucinogenic mushrooms by an Ivory Coast ethnic group would be confirmed by the experience that the French Yves Soubrillard would made on the ground, in the African brousse,and which he described in a book called Souleymane le guérisseur ou le pouvoir des plantes ("Souleymane the healer or the power of plants"), published in Paris in 1992, from which quite all informations I am here drawing your attention to are taken. Unfortunately Soubrillard's experience is described in such a way that serious reservations to the acceptance of reported data are inevitable. Such data, which would be of the utmost importance for the field of ethnomycological research, will have to wait for confirmations as well as for a better specification. It is enough to notice that it is possible to locate the geographic area of the described events only after a good deal of reading, and that after having read the whole book it is not clear to which ethnic group Souleymane belonged. Souleymane, the renowed healer who, according to the story, in exchange for money, gave Soubrillard the information about some vegetables having "extraordinary" healing properties, which had not been indicated to "whites" by the traditional healers of that territory until then. Two whole chapters of the book are dedicated to a pair of hallucinogenic mushrooms. The author of the book, who was a member of various scientific societies connected with the Paris Museum of Natural History, took part in the 3rd Congress of O.U.A. 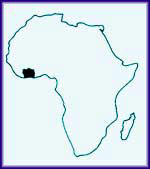 (Organisation de l'Unité Africaine) on healing plants and on traditional pharmaceutics held in Abidjan, in Ivory Coast, on a date which is not indicated on the text. On that occasion, Soubrillard met Souleymane who was invited to join the Congress together with other well-known African healers. Souleymane is only said to speak the Mao language with his tribe and the Diola language with the other African people, which would make one assume his belonging to the Mao ethnic group. Souleymane comes to an agreement with Soubrillard on passing him on "unedited" news about some African medicinal plants, against payment of several thousands CFA francs each. The meeting and the agreement with the healer appear surprisingly "easy" as Soubrillard himself remarks. He went at the healer several times, in an indefinite place of Ivory Coast, and the healer revealed, little by little, different vegetal medicines obtained from plants largely having psychoactive effects. One of these vegetables is tamu, the "mushroom of knowledge", growing in lagoonal areas, in compact groups, on rises in the ground, identified by Soubrillard as a species of Conocybe (Bolbitiaceae fam.). Souleymane takes the author to the place where these mushrooms grow, pick a sufficient number of these and then both men return to the village (presumably, Souleymane native village). A short time before going to bed, the healer offers Soubrillard a forkful of these cooked mushrooms (however, he affirms that they can be eaten either raw or cooked) and then - an uncommon fact in the traditional use of hallucinogenic mushrooms - he leaves him alone. The author eats the portion of mushrooms and shortly falls asleep on the bed. A little later he wakes up seized by visual and acoustic hallucinations. His experience could be considered as a "bad trip" because of the starting of phobias and fears for the encounter/conflict with "his double", fears which - according to his statements - obsessed him for more than a year and left him with a deep trauma: "This confrontation with my double was a confrontation with myself. One day it will be decisive" (p. 47). Nevertheless, the author eats tamu a second time, in the same situation and the experience appears more constructive. In a dialogue between the author and the healer, at a certain point the latter affirms: "tamu is the mushroom of knowledge of oneself and of others and his fabulous power lies in this" (p. 48). The second mushroom which Souleymane shows Soubrillard and for which there would be no traditional name, is called the "mushroom of action". In the description of his habitat, it is reported that "it prefers dry, ventilated corners and the company of bamboo. It is very rare here and the period during which there is some chance to find it is extremely short. It is saprophytic, it lives alone or in small groups" (p. 51). By examining a sample shown to him by the healer and noticing that "it was phosphorescent, with metallized violet, green and purple colours mixed together", Soubrillard identifies it with a species of Stropharia. Actually, either the description of the mushroom to which the different colours are attributed are not mentioned explicity, or the identification with a Stropharia appears somehow groundless. Furthermore, since it is a species of the Stropharia type (whose hallucinogenic species are now considered as Psilocybe), it would probably turn out to be psilocybinic, however the effects reported by the author quite differ from those of the psilocybinic experiences. The healer describes the experience with this mushroom in the following way: "It is slightly toxic (..) It gives pure Energy. You feel, as I told you, a slightly difficult ingestion together with sensations of heaviness, of weariness. You then enter a phase of sleepiness and later of sleep. Upon waking up you will be another creature, astounding" (pp. 51-2). This time Souleymane gives Soubrillard some mushrooms and let him manage the new experiences completely alone, which is even more unusual in the traditional tranfers of knowledge. It is as if the healer behaved intentionally in a non traditional way in passing these particular knowledges to the "white" and rich Soubrillard. On evening he ate four raw and two cooked mushrooms. Souleymane had informed him that probably the mushrooms would made him sick, however that he should not worry about it too much. An hour after having eaten the mushrooms, the author felt very sick and shortly afterwards he fell asleep: "The following morning I woke up in an absolutely amazing state of physical and mental freshness. During the following week I carried out the work of six months. All mental blocks, all sterile questions has disappeared. I was a lucid person, available at any time, intelligent, with no fear whatsoever, acting in serenity" (pp. 53-4). The effect lasted fifteen days. In a second solitary experience with this mushroom the author affirms that he ate four raw samples, getting an effect similar to that of the preceeding experience. The description of these experiences, as well as the relationship between the healer and the author of the book, are studded with logistic discrepancies and appears unusual from various points of wiew, to the extent that it raises doubts on the truthfulness of some parts of the account. Souleymane, bargaining the cost in money each time, disclosed others vegetables having "extraordinary" magic and healing properties, among which the couananiniaté, similar to a Geaster (a star mushroom of the Gastromycetales order) used in the treatment of external and internal haemorrage, a not better defined "Plant to see at Night", a shrub called yioua, whose roots have narcotic properties, and a mysterious "Plant of the little Immortality", which Souleymane thinks he is the only one who knows of. Souleymane draws the attention to the plant of cotton (Gossypium sp., Malvaceae family) as a "first class regulator of the central nervous system (..) it is said to be an ideal mild drug (..) It gives a peaceful euphoria, a calm and light elation" (pp. 36-7). The roots are thought to be the more active part of the plant. It could be astonishing that a traditional African healer talks easily of "central nervous system", and, furthermore, in Souleymane's vocabulary you can find also words such as "biotypes", "molecules", "cytological effects", "microorganisms". It is a further confirmation of the strangeness of the reported events. As for the Ivory Coast "mushroom of knowldege", in one of the final dialogues with the author of the book, Souleymane maintains that the knowledge of its properties is a recent descovery, whereas the "mushroom of action" has been known for quite a time. It would be the same father of Souleymane who casually discovered the tamu properties because a mistake in picking up healing vegetables (p. 127). From these statements the least acceptable contradiction of Souleymane whole account stands out: while the knowledge of the mushroom having the apparently traditional name of tamu would be a recent descovery made by Souleymane's father, the "mushroom of action", known since a long time, would have no traditional name. However, it is also difficult to think of a total falsehood of the account, both because of the credibility of Souleymane, well-known traditional healer, and of Soubrillard, renowned French scholar of traditional medicines, and for the actual possibility that in Sahelian Africa and southward, in black Africa, there are traditional worships and uses of hallucinogenic mushrooms (at the present state of my African studies the contrary would rather astonish me). I refer to the hypothesis that would locate the more ancient worship of hallucinogenic mushrooms so far individuated, just in Africa, in the heart of the Sahara (Samorini, 1992). I also refer to the symbolic and, perhaps, pharmacological function of the mushroom duna in the rites of Fang and of other Gabon tribes (Samorini, 1994), to the important role played by mushrooms in mythology and in the daily life of Yoruba people in Nigeria (Oso, 1976), which, even though it is not in direct association with the cultural sphere of hallucinogenic mushrooms, shows, anyway, a high potential of "micophilia" of this population. Finally, I refer to the mushroom Churches, the existing religious syncretist sects particularly widespread in South Nigeria, for which Bill Walters (1995) hypothesizes the use of hallucinogenic mushrooms. The following remarks by the healer are particularly interesting, above all from the point of view of ethnographic comparison: "The most perfect shape for mushrooms is that of "dome-shaped mushroom", whose cap, in the shape of a perfect ovoid, symbolises birth and the vault of heaven. All the dome-shaped buildings, in all ages, have always represented the favourable, propitius shapes and the dwelling place chosen by the gods. Therefore, obviously, in these families of mushrooms one can find most of those endowed with powers. The extraordinary tamu, mushroom of knowledge, is a dome-shaped mushroom, keeper and repository of divine powers" (p. 128). The association with the vault of heaven recalls a cosmogonal myth of a group of Congolese Pygmies, reported by W.F. Bonin in 1979, and cited by Martin Haseneier (1992:22), in which the mushroom alonkok plays a crucial role in the genesis of the universe: "The earth originated from a mushroom, ‘as from an egg'. More precisely, the mushroom, considered as having the shape of an egg, split in the middle. The upper half rose and became the sky, the lower part became the earth. From the two halves of Alonkok - this is the name of the mushroom - all visible things came out: stars, the sun, mountains, rivers, plants, animals and the Great Mother, also called Alonkok. Lightning was in a separate egg: so the great mother got the fire". Without the intention of turning into an essay on African ethnomycology what means to remain a presentation of the peculiar data offered by Soubrillard book, the ethnomycological data which are accumulating little by little, induce to consider the presence of African traditional cults based on the use of hallucinogenic mushrooms as more and more probable. Likewise, it is most probable that, behind the (perhaps intentionally) confused and contradictory statements of the experience told by Soubrillard, there be something true which would be worthy of a more reliable and qualified research. HASENEIER M., 1992, Der Kahlkopf und das Kollektive Unbewisste, Integration, 2/3:5-38. OSO B.A., 1976, Mushrooms in Yoruba Mythology and Medicinal Practices, Econ.Bot., 30:367-371. SAMORINI G., 1992, The oldest representations of hallucinogenic mushrooms in the world (Sahara desert, 9000-7000 B.P. ), Integration, 2/3:69-78. SAMORINI G., 1994, La religión Buiti y la planta psícoactiva Tabernanthe iboga, Africa Ecuatorial, in: J. Fericgla (Ed. ), Plantas, Chamanismo y Estados de Consciencia, Barcelona, Los Libros de la Liebre de Marzo, pp. 175-195. SOUBRILLARD I., 1992, Souleymane le guériseur ou le pouvoir des plantes, Paris, L'Harmattan. WALTERS B., 1995, Halleluja. Praise the Mushrooms, Psyched. Ill., in pubbl.